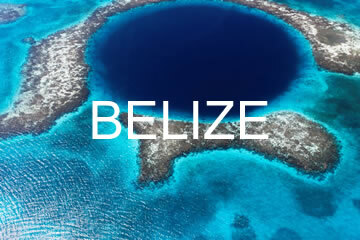 Belize is home to the Mesoamerican Barrier Reef, which stretches 350 nautical miles with over 400 islands and cays, and around 500 different species of tropical fish. This is one destination that offers spectacular sailing itineraries. Ideal for swimming, snorkeling, diving, kayaking, just relaxing aboard or venturing into the jungle, a Belize Yacht Charter is a unique and unforgettable sailing destination. As you leave our base, you will head into the heart of the exquisitely beautiful Placencia Lagoon. This paradise is the ideal location if you're looking for an adventure, where you can enjoy kayaking through the mangroves, or hire a boat and take a trip up Monkey River where you will see Howler Monkeys, Iguanas and many more exotic creatures! Placencia lagoon, home to a new base, forms the gateway to your Belizean sailing adventure; from here you can take some land-based tours to the numerous cascading waterfalls and archaeological ruins of the Mayan culture, or head up Monkey River to see howler monkeys, crocodiles, iguanas and many more exotic creatures hidden in the lush green jungle. The cave at Blue Creek is not for the faint hearted, enjoy the caves colossal beauty, as with headlights in place and lifejackets on you'll swim/hike through this mysterious underworld of the Maya. Water based activities are plentiful from kayaking, salt water fly-fishing, reef dives and whale watching trips to choose from. You're truly spoilt for choice here. The small coastal town of Placencia itself is definitely worth a visit. This charming town feels relatively undiscovered and unspoilt by tourism. There's an infectious laid-back Belizean vibe and the local residents are friendly and welcoming. Explore the narrow streets, browsing at the many rustic and traditional wares for sale. You'll not be disappointed with the choices of where to dine out, as there's plenty of fine dining restaurants and bars offering fresh seafood and a host of local delicacies to choose from. After spending the day immersing yourself in the Belizean culture and lifestyle, hop back onboard and prepare to set sail towards one of the most naturally beautiful cruising grounds in the world. Head northeast to Wippari Cay, offering superb snorkeling as well as being a fantastic place for fishing too. Situated over the barrier reef, you will need to practice your shallow water navigation skills as you meander towards South Water Cay. Wippari Cay is home to fishing legend Julian Cabral, owner of The Whipray Caye Lodge open-air Sea Urchin Bar and Restaurant. As well as sampling some of the exquisite Belizean and American food on offer, grab yourself an ice-cold beer and listen as Julian gives you the inside track on how best to catch our scaley friends down below. Just a short boat ride away you'll find some of the best fishing Belize has to offer. Land the catch of the day as you fish for tarpon, snapper and barracuda. These waters are ready stocked and waiting. If you fancy staying closer to shore, the sparkling waters to the northeast and northwest around Wippari provides for some superb snorkeling amongst its living coral reef. If you're lucky you may get to see a pod of dolphins passing by. Back on the Cay, take a few moments to admire the lush greenery of the palm fringed beach as you sit back, cocktail in one hand, camera in the other, and wait for one of the most stunning and unforgettable sunsets you'll ever see. Mooring overnight at Wippari puts you in a great position for a sail to South Water Cay the next morning. Mooring: There are a few moorings available on the west side of the Cay. No dinghy dockage is available. Part of the Belizean marine preserve, this peaceful island is also inhabited, so you will be able to find fresh food served at any of the three restaurants here after enjoying a days snorkeling off the exquisite white sandy beach. Part of Belize's World Heritage Site, idyllic South Water Cay, is an amazing 15-acre coral island sitting right on the edge of the barrier reef. With its crystal clear waters and soft powder white sand beaches lined with majestic palms, it's easy to see why it's worth making the effort to stop on this tropical island. The snorkeling here is not to be missed, and on the east side of the Cay the barrier reef drop-off is close to the shore, creating one of the few places in Belize where you can literally swim off the beach and straight into the reef. After a morning spent exploring the amazing array of underwater life, head back ashore and take a pleasant stroll amongst the coconut trees and mangrove islets. Although part of the marine reserve, South Water Cay is also one of the largest inhabited resorts with a few bars and restaurants to dine out at. Enjoy freshly caught lobster and delicious local specialities before heading back onboard for a relaxing sundowner. Sail north just inside the barrier reef, and experience exceptional snorkeling at the beautiful Tobacco Cay. If you fancy hanging out a bit closer to the surface, Tobacco Cay boasts some excellent snorkeling. The shallow reef running along the islands' eastern and southern shoreline forms the edge of the famous South Water Cay marine reserve, and from here you can often spot eagle rays gracefully soaring over the turtle grass beds. Take to a kayak and circumnavigate the islands dazzling turquoise waters, taking the time to pause and admire the pristine white coral sand beaches lined with coconut and palm trees. For the early bird, there is some great fly-fishing to be found just beyond the reef, and at sunset you'll find the local fishermen preparing their catches of the day at the dock. At sundown island life steps up a gear or two. The thatched roof beach bar is just feet away from the gentle lapping waves and is the ideal spot for sipping on a cool rum punch, while chatting to fellow sailors or the islands residents. Don't be surprised if they bring out their Garifuna drums for an impromptu musical spectacle. Just sit back and enjoy the rhythms as you watch the Belizean sun setting behind the cool blue Maya Mountains. Things to do: There is plenty to do on this sandy Cay, snorkeling, kayaking and diving go hand in hand with relaxing with new friends and welcoming residents, The bar and restaurant are not to be missed. 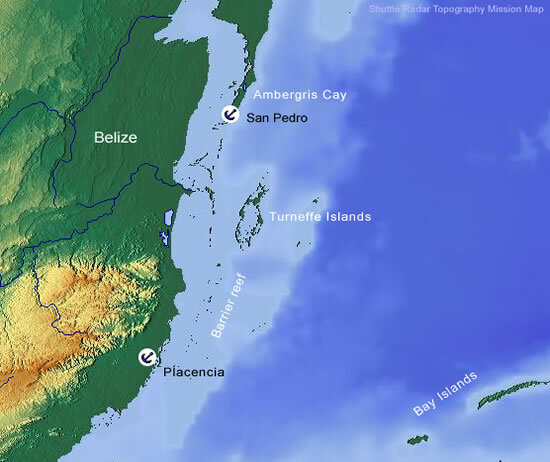 Continue cruising north, through these protected waters and stop off at the highly recommended Coco Plum Cay. This private island is the perfect retreat; all you need to do here is relax in a hammock, as you enjoy 5* service and fine food that will make you want to stay here forever. These private atolls offer the perfect retreat away from the hustle and bustle of everyday life. Exceptional white-sand beaches, fine food, two bars and 5 star service will make that trip ashore seem even more appealing. But there's much more to do then simply relaxing here. Ashore, the waters between each sandy Cay are shallow enough to walk between and paddling through the calm sea you're likely to discover brilliant starfish, hermit crabs, tropical fish, and a variety of shells. Out on the water, the Cay's surrounding calm clear waters are ideal for all levels of kayaking, snorkeling, fly-fishing, and swimming. Take a kayak mid-afternoon and island hop to the neighboring Man-O-War Cay. As a designated bird sanctuary, this island is home to a variety of indigenous bird species including pelicans, brown booby birds and the magnificent frigate birds. Stop to admire the sparkling azure waters and the rainbow of aquatic life teaming below. The snorkeling is superb and the visibility good so don't forget to bring your underwater camera. Watch out for playful dolphins and manatees as you paddle your way back. One of the islands resorts, Thatch Caye, is a "hand made" eco-resort and relies on solar and wind power to generate its electricity. This resort is very popular, especially with children, because of the many coatamundi that roam freely. You'll also see plenty of spider monkeys and brocket deer. Kick off your sandals and feel the soft white sand between your toes as you hop into a hammock. Pick up a book and relax as the Caribbean breeze gently sways you, listening to nothing but the soothing sounds of the sea as the sun goes down. Treat yourself to a well earned rum punch and dine ashore to sample the scrumptious Belizean dishes. The romance of al-fresco dining, coupled with these islands' beauty will indulge all of your senses. Mooring: There are three moorings located on the western side of the Cay and two moorings on the eastern side, offering good protection in all seasons. Anchor off Thatch Caye Resort. No dinghy dockage is available. With the picturesque Belizean coast stretching out before you across the brilliant turquoise waters, sail onto Lagoon Cay. Once you are at anchor, relax with a refreshing cocktail, take a swim, or kayak along the cay. This scenic island offers kayakers of all levels the opportunity for some exploration. There's a vast expanse of coastline to track and plenty of things to see along the way. Weave in and out of the many inlets and mangrove habitats as you twitch for the ospreys, frigate birds, pelicans and cormorants that all call this lagoon their home. But as you're busy soaking up the views above the water don't forget to look down at the incredible coral life below. The shallow reef which forms the backbone of this island makes for some thrilling snorkeling opportunities. Watch the many tarpon displaying their gilded armour of brilliant silver scales, or the colorful shoals of parrot fish that dart past you as you swim by. And if all of that sounds like too much hard work, simply head back onboard and relax with a refreshing cocktail as you admire the panoramic views from your deck. Experience outstanding snorkeling and diving along the edge of the barrier reef, when you visit Queen Cay (Silk Cay). The best beach and anchorage is off the southern cay where, nestled among the towering palm trees, you can enjoy a leisurely lunch in the shade. The best beach and anchorage is just off the southern Cay, where nestled among the towering palm trees, you can enjoy a truly leisurely lunch in the shade as you plan your afternoon adventures. Located just a mile inside the barrier reef, these Cays offer some of the most exhilarating diving and snorkeling in the southern Belize area. So take to the water and let a 6ft barracuda be your guide as you swim amongst the plentiful and exotic coral life, butterfly, snapper, parrot, angel, lobster and rays. Watch where you're swimming though, as the protected waters surrounding the Queen Cays attracts whale sharks for up to ten days after a full moon between April and June. Although completely harmless, these majestic creatures would surely give you shock if you came face to face. The northern isle is a bird sanctuary and home to the areas native bird species of magnificent frigate birds and hungry pelicans. Mooring: There are a few moorings available with the best anchorage lying off the southern Cay, No dinghy dockage is available.